This is the perfect salad to bring to a potluck or to serve along with barbecued meats. It is easy, nutritious and very tasty. In a two-cup measuring cup whisk together first 4 ingredients. Set aside. 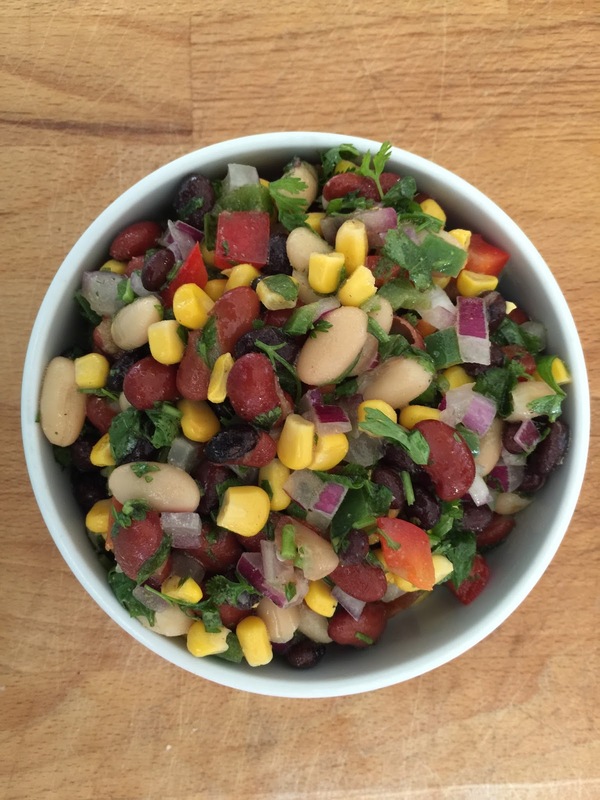 In a large bowl mix together beans, corn, tomato, all the peppers, onion, garlic and cilantro. Add salt, black pepper and hot sauce to taste. Mix well. Refrigerate for al least 30 minutes before serving. This entry was posted in Brampton Bed and Breakfast Inn, Lunch and Dinner Entrees, Soups Salads and Appetizers, Vegetables and Potatoes by admin. Bookmark the permalink.